Visitors walk outside the front entrance at George Washington's Mount Vernon Estate, February 17, 2014 in Mount Vernon, Virginia. 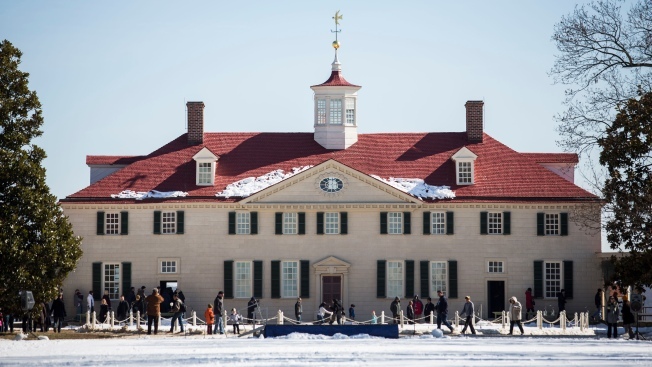 George Washington's Mount Vernon mansion in northern Virginia will be closing temporarily for scheduled preservation work. The mansion on the banks of the Potomac River will be closed from Jan. 22 through Feb. 4. The estate itself will remain open, and tourists can visit the museum, Washington's grave, the 4-D theater and the other attractions. Admission to the estate will be 50 percent off while the mansion is closed. During the closure, the mansion's central passage will be repainted to better reflect its appearance in 1799 and staff archaeologists will do excavation work in the cellar. The privately operated estate attracts roughly 1 million visitors a year.